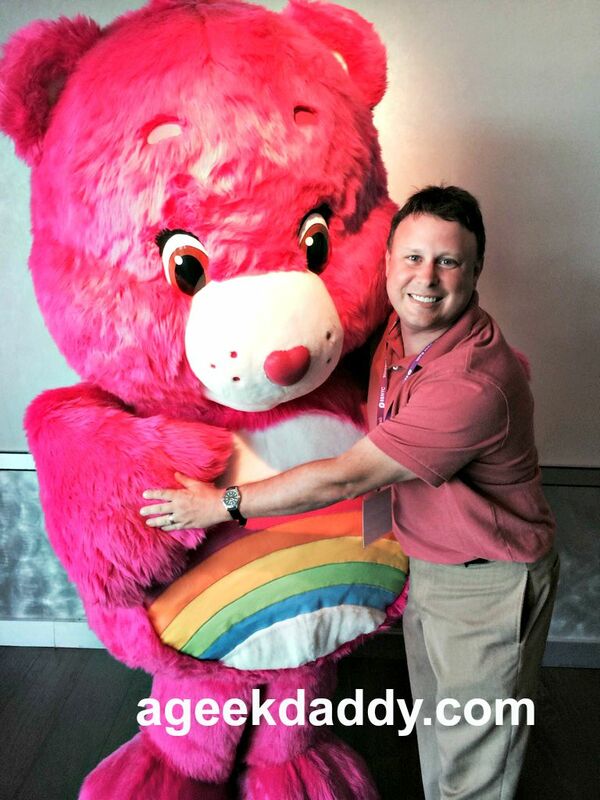 A GEEK DADDY: September 9th is National Care Bears™ #ShareYourCare Day! My wife grew up with a Care Bear as her favorite toy that she took everywhere with her which she named "Timmy" so it seems like fate that she married a guy whose family and friends use that as his nickname too. With that association to the brand in mind, A Geek Daddy is especially proud to have been selected to serve as a Care Bears #ShareYourCare Ambassador by American Greetings. 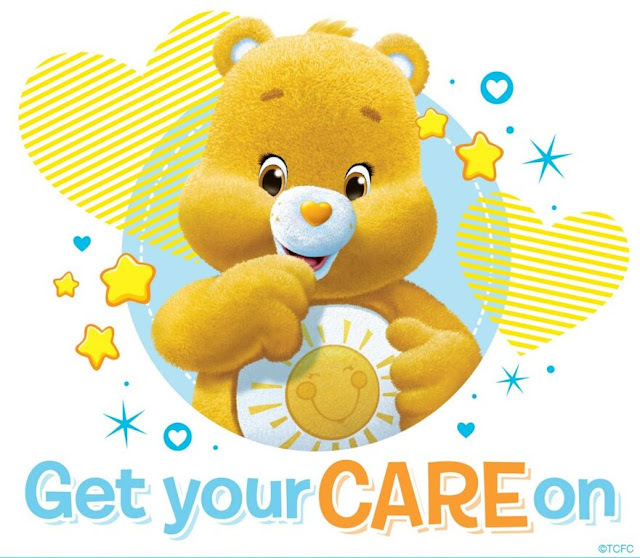 I'm excited to announce that September 9, 2015 is National Care Bears #ShareYourCare Day! What little ... or big ... things do you or your family do to help make a neighbor's day brighter, your community a bit nicer, or the world a better place? #ShareYourCare can be small, simple things like sharing a toy with your sibling, taking out the trash for your mom, or helping an older neighbor across the street. Or bigger things like planting a tree, or spending a day volunteering for a charity. 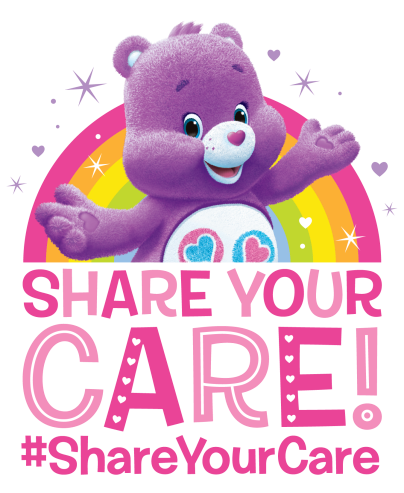 Through this important movement, the Care Bears will inspire everyone to be kind, think of others and #ShareYourCare every day. September 9th is National Care Bears #ShareYourCare Day! We are asking that you join the Care Bears on that day in doing something nice for others. 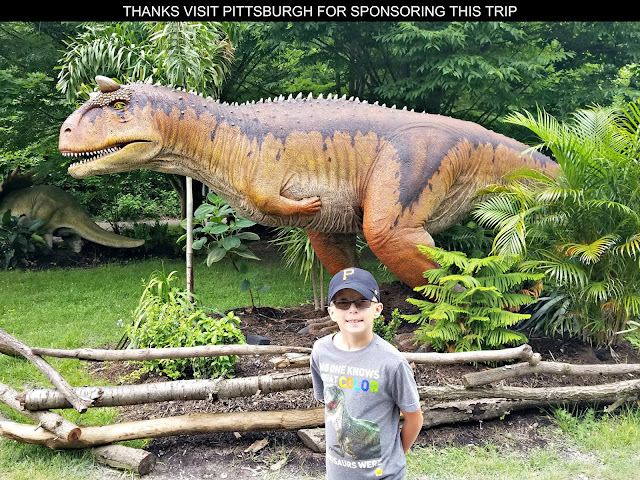 With your help on that day, we can spread caring, sharing, love, friendship, acceptance, fun and happiness to those around us that day, and each and every day of the year! For example on September 9th, Care Bears is participating in an event helping 10-year old Zach Kaplan of #ZachKapCares and his mission to gift children in need with a soft bear to hug at night by donating 400 Care Bears plush to Leake & Watts, a head start program serving New York City. #ShareYourCare can be small, simple things like sharing a toy with your sibling, taking out the trash for your mom, or helping an older neighbor across the street. Or bigger things like planting a tree, or spending a day volunteering for a charity. Through this important movement, the Care Bears will inspire everyone to be kind, think of others and #ShareYourCare every day. 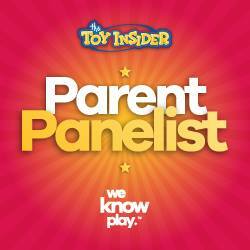 How will your family #ShareYourCare on September 9th? Take a moment to sign up as part of the official #ShareYouCareCrew via www.CareBearsShare.com where all of the amazing #ShareYourCare testimonials will be collected and later shared!